Drumeo Memberships & Merchandises - WELCOME TO SG DRUM ACADEMY - THE ACADEMY FOR DRUM LESSONS, MASTERCLASSES, CLINICS AND BOOKS. The Drumeo Gift Card is a physical access pass that you can use for yourself, or to send as a gift to another drummer. Simply choose a membership card with 1 month of access. We’ll ship it to you, and once it arrives it can be redeemed by anybody, anytime. The Drumeo Gift Card includes full access to Drumeo Edge, The Ultimate Online Drum Lessons Experience. It includes access to a new live lesson every day, more than 1000 pre-recorded video drum lessons, a massive library of play-alongs and song breakdowns, the best online drum community in the world, and more! 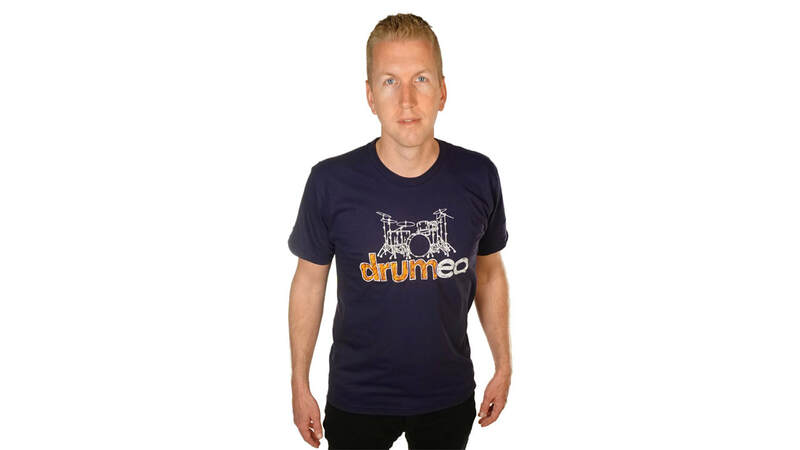 Add some color to your drumming wardrobe, with Drumeo’s navy t-shirt featuring a sketched drum-kit and hand-drawing styled logo. It was designed by Drumeo’s own customer-support superstar, Catrina Jackson! 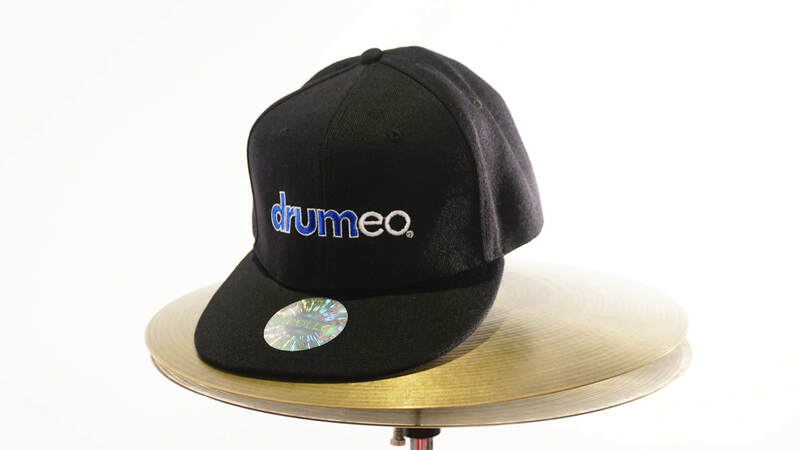 Show off your love for the drums with the urban, Drumeo snapback hat featuring a 4” logo on an all-black finish. One size fits all with the adjustable plastic snapback closure. 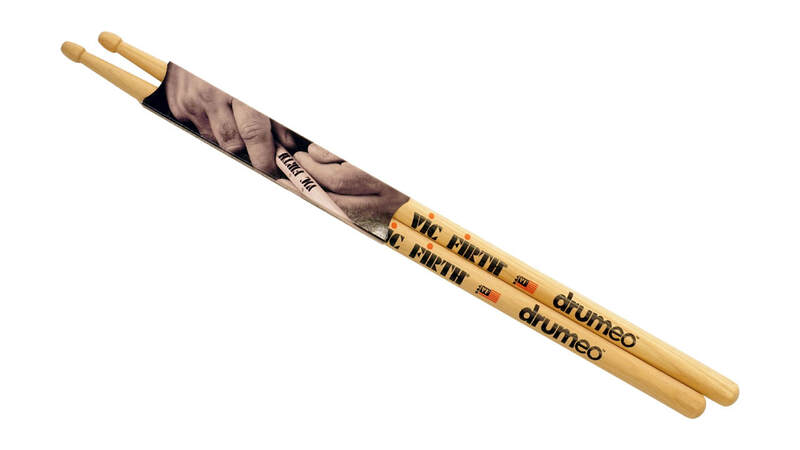 The Vic Firth Drumeo Signature Drumsticks are made of hickory wood and sized like an American Classic 55A - which is right between the diameter of a 5A and 5B. These are the very same drumsticks used by Jared Falk and many of our other instructors every day. Materials:Stainless steel with threaded plastic lid. Finish:Matte black with a Drumeo logo. This stainless steel water bottle will keep your H2O cool while you play the drums, with room for 24 oz of water so you don’t need to go for refills over and over again.